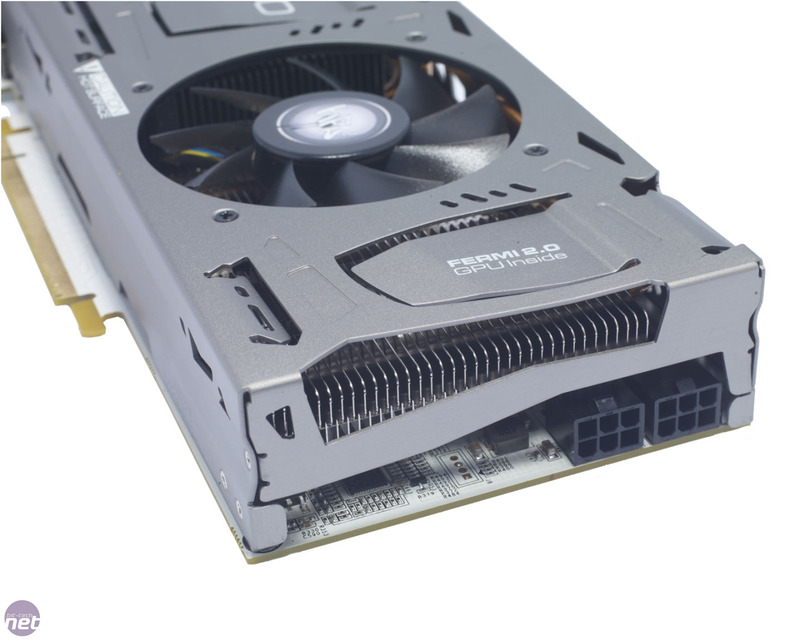 We’ve talked before about how spending truck-loads of cash on expensive graphics cards quickly becomes a case of diminishing returns. Over a certain point, you get less and less extra performance for more and more cash spent. Conversely, at the cheaper end of the gaming graphics card spectrum you can see huge rewards for spending a little bit of extra money. The jump in performance from a £100 card to a £130 card can be huge, allowing you to play games smoothly on a 1,920 x 1,080 with the best image quality. 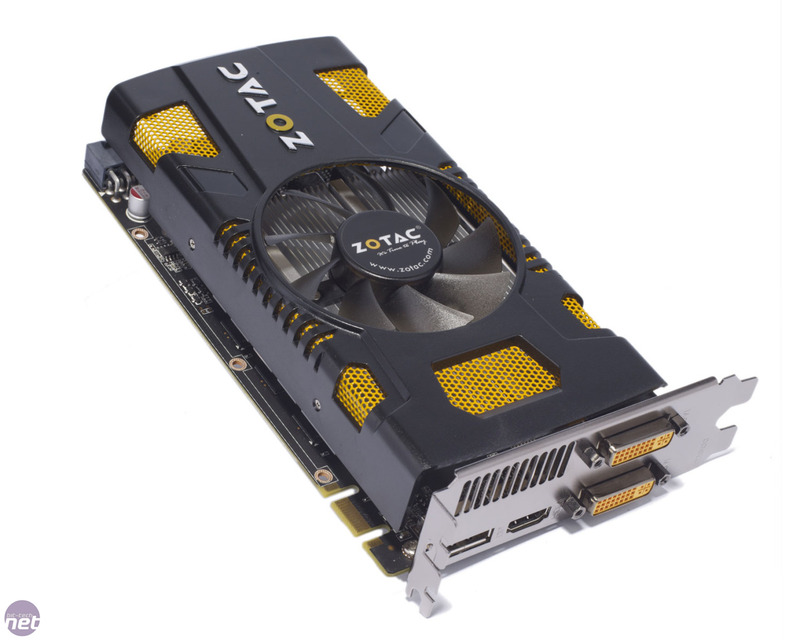 It’s a difficult situation to contend with though, as there’s a mental barrier that discourages many people from spending more than £100 on a graphics card. 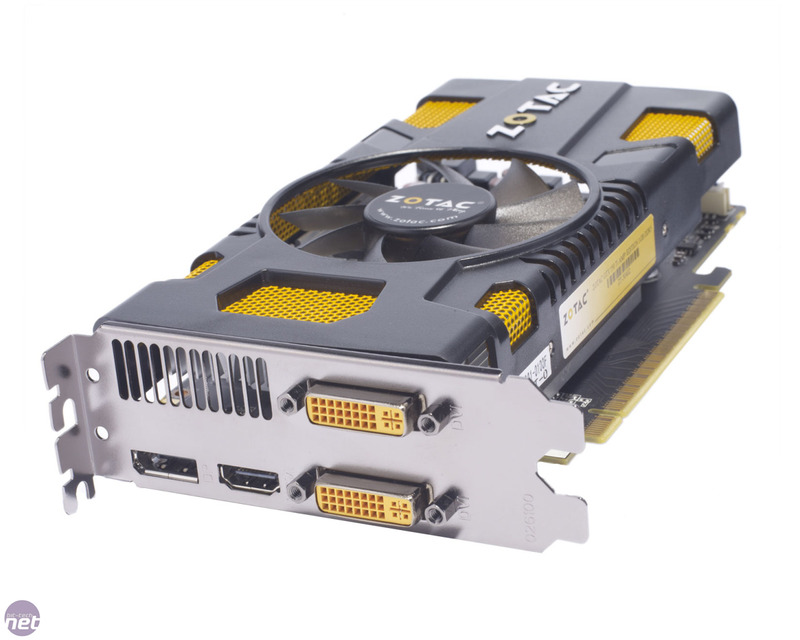 If you absolutely refuse to spend much more than £100, or even £100 at all, the GeForce GTX 550 Ti 1GB is at least a sizeable improvement over its predecessor the GeForce GTS 450 1GB. 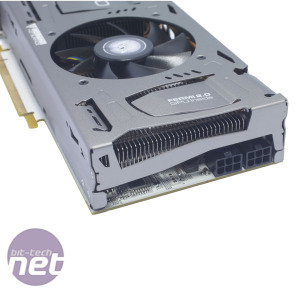 Across the board we’ve seen 10-15 per cent higher frame rates from the GTX 550 Ti 1GB over the GTS 450 1GB, and this edge allows the GTX 550 Ti 1GB to more convincingly best the Radeon HD 5770 1GB with which is directly competes on price. 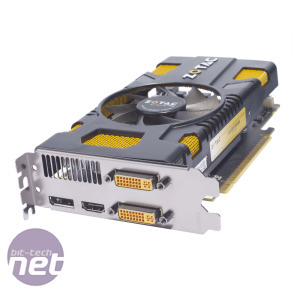 However, the limitations of the cut-down GPU of the GTX 550 Ti 1GB are still there to see, especially if you have a 1,920 x 1,080 screen and want to play your games at their best. In Bad Company 2 the GeForce GTX 460 1GB offers 20-30 per cent more performance, from a card that’s roughly 30 per cent more expensive (based on the estimated price of £100 for the GTX 550 Ti 1GB and the £131 Gainward GeForce GTX 460 768MB Green. 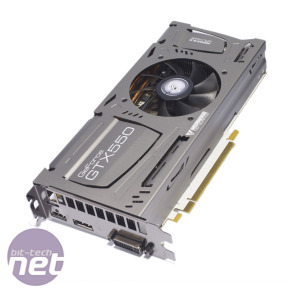 However, if our retailer source is correct decent GTX 550 Ti 1GB cards should be on sale for around £90. 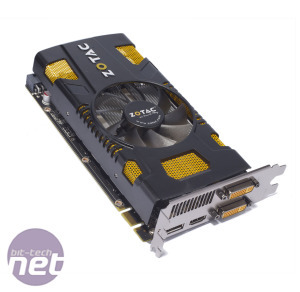 At this price, and assuming the cooler isn’t a hairdryer, a GTX 550 Ti 1GB is a reasonable purchase for anyone on a limited budget with a 1,680 x 1,050 screen. However, considering that decent 1,920 x 1,080 screens are dropping in price – even IPS-based ones – it might not be that long until the GTX 550 Ti 1GB is out of its depth. Equally, if you’re really looking forward to some PC-exclusive games that don’t dumb-down their graphics engines, the card could struggle even on a 1,680 x 1,050 screen. Just look at its performance in Arma II and Bad Company 2. 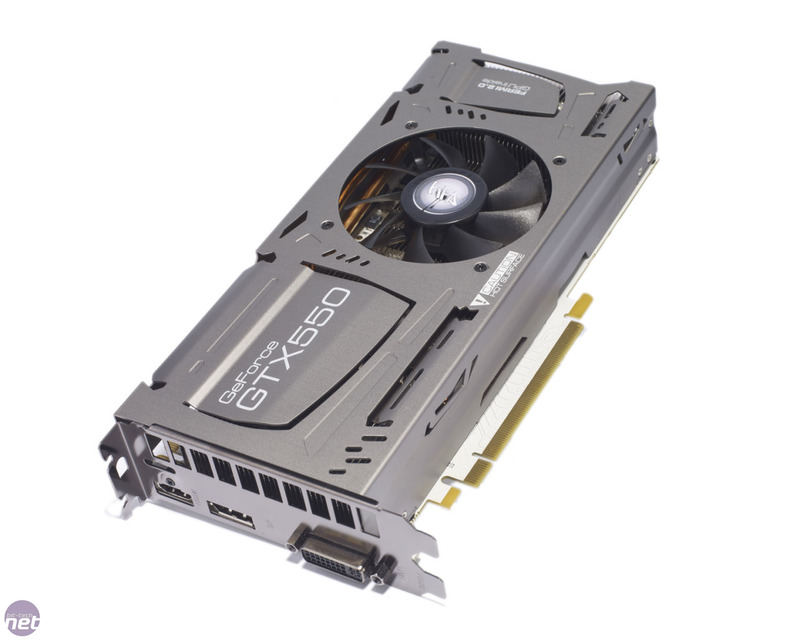 For £100 and under, the GTX 550 Ti 1GB is the strongest option, as the GTS 450 1GB and the HD 5770 1GB have aged rather than matured. That’s the main reason we’d always recommend that people spend a little extra on a their graphics card, otherwise you risk having to spend even more money in the near future to keep up with the new games you want to play.